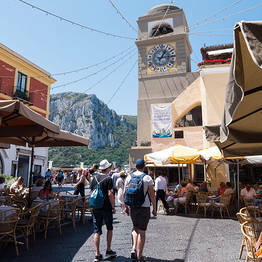 Guided tour of the center of Capri including the Piazzetta, the historic city walls, and the cathedral. The tour begins in thebustling Piazzetta where the world's VIPs gather to see and be seen. From there, we will take a look at the historic city walls, the city gate, and the Church of Santo Stefano. 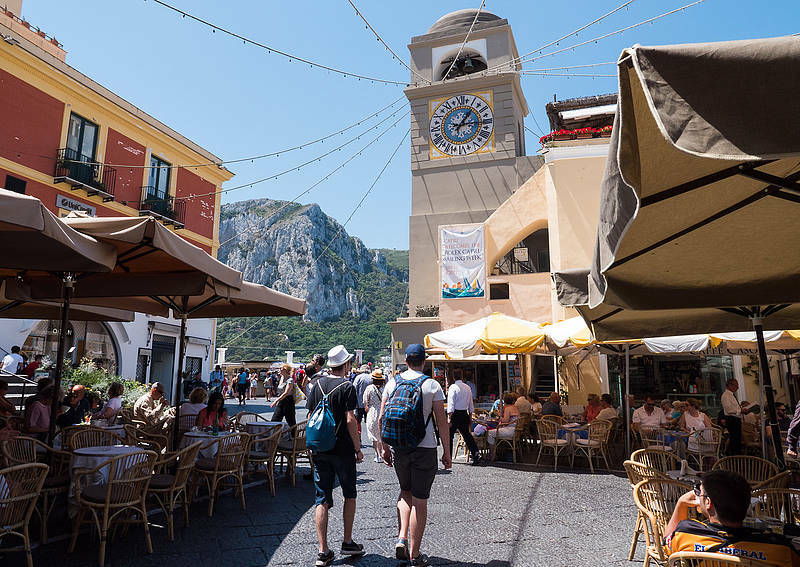 We'll cross the heart of the historic center with its charming lanes and the Church of Sant’Anna, a jewel of Medieval art and we'll reach the Gardens of Augustus with the amazing view on the Marina Piccola Bay and the Faraglioni Rocks. 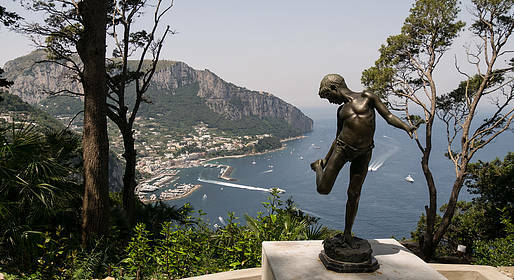 We'll continue to Villa Lysis, the historic residence of Count Jacques Fersen built overlooking Capri. This itinerary combines history, art, nature, and architecture and will take you on a journey through time from the Romans to the 1900s.